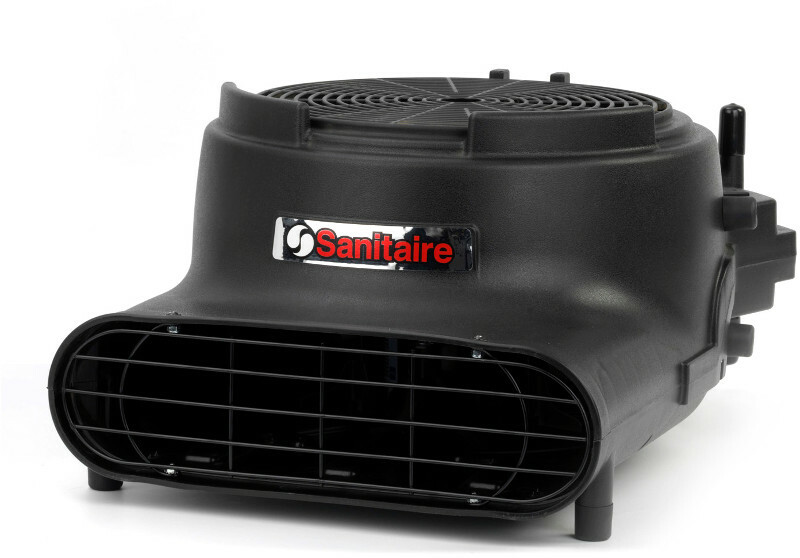 Sanitaire Air Movers significantly reduce drying time on a variety of surfacces. A three- speed switch allows you to control the desired power for the job. ETL listed for commercial use, the 1/2-hp motor makes them ideal for carpet drying and restoration projects. Quieter and lighter than current models, making it the perfect choice for education, healthcare and hospitality settings. 3-Speed control to adjust air velocity all the way up to 3,400 ft./min. Stackable design and small footprint for easy storage in a small closet or the corner of a room. For focused air power that gets the job done, daisy-chain up to 6 units on one 15-amp circuit. 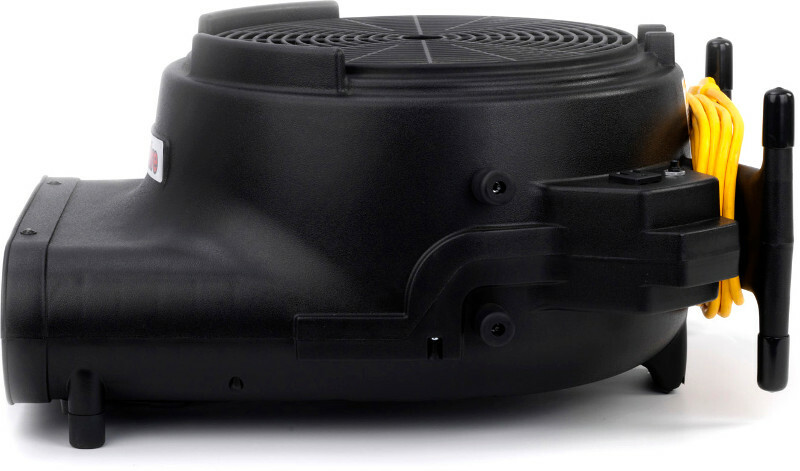 The Precision Air Mover offers the performance and durability you need to dry carpets and floors fast. 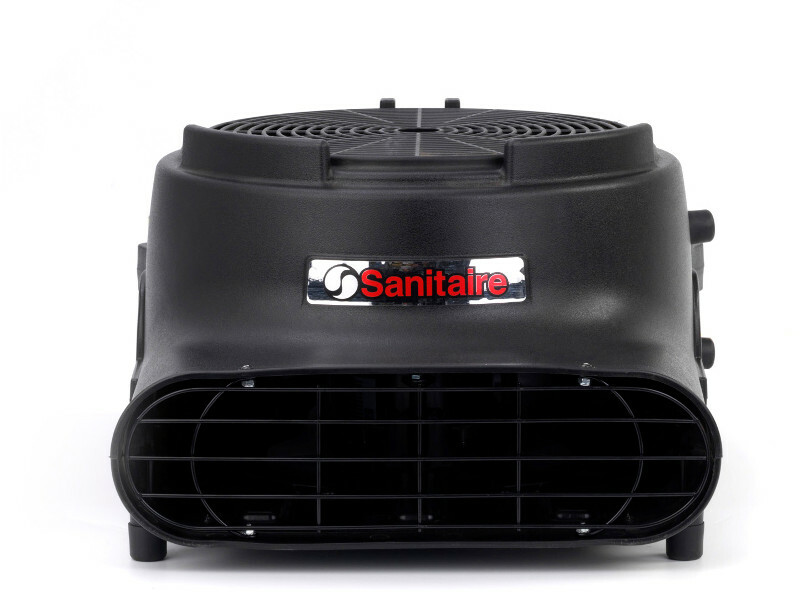 Combining a squirrel-cage design with the increased drying power of an axial fan that pulls in air from above for the driest air. In addition, the Precision Air Mover can be placed in 4 different drying positions. The Precision Air Mover is quieter and much lighter than our current air mover making it the perfect choice for education, healthcare and hospitality settings. The 3-speed control switch lets you adjust the air speed to meet your drying needs from a maximum air velocity of 3400 ft./min. down to 2700 ft./min.